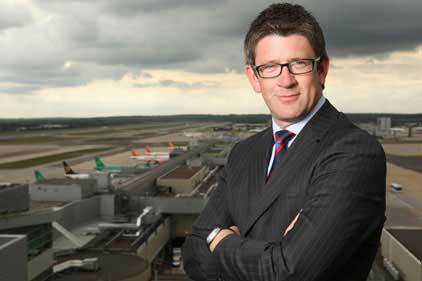 Gatwick Airport's executive director of comms has resigned to take a job at oil and gas company Dana Petroleum. After three years leading Gatwick's comms, Andrew McCallum has decided to join Dana Petroleum as group director of comms and external affairs. In the newly created role, McCallum is expected to build a comms team with the aim of increasing the FTSE 250 firm's profile nationally and internationally. He is also expected to develop strong partnerships with overseas governments and national oil companies. McCallum said: ‘Dana is a successful company with exciting plans to expand its global operations significantly in the next few years. I'm looking forward to helping it succeed with this ambition. McCallum helped steer Gatwick through the 12-month sale process that led to Global Infrastructure Partners' £1.5bn acquisition of the airport in December 2009. He will leave Gatwick in October and an external search is now under way for his replacement. McCallum joined Gatwick in 2008 from British Gas owner Centrica, where he had worked since joining as a graduate trainee in 2000. Dana Petroleum is a British-based international oil and gas exploration and production company with assets in the North Sea and Africa. Formerly a FTSE 250 company, it was acquired by the Korean National Oil Company (KNOC) in September 2010.